Refreshing Iced Coffee recipe by swtmanoo at PakiRecipes.com. Enjoy full-flavored Iced Coffee to refresh yourself during anytime of the day. Take 60 ml of the hot coffee and put it in a clean blender jar. Add 50 ml of milk into it. Put 75 ml of condensed milk into it. Add 05 ice cubes into it. Pour 03 tsp of chocolate Hershey�s syrup into it. Close the jar and blend it for 40 seconds. 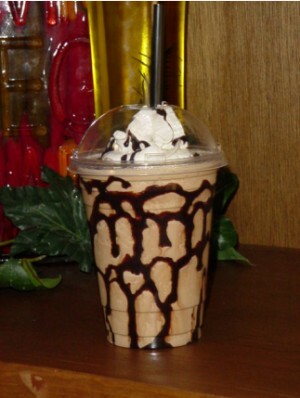 Add 01 tsp of Hershey�s syrup on top and enjoy a chocolaty iced coffee. it will make Pakistanis even more fatter. Should be a healthy alternative. its got more condensed milk than plain milk! i think the author can adjust the recipe easily by halving the amount of fat used in this.